Want to be notified of new releases in intelsdi-x/snap? This project will no longer be maintained by Intel. Intel will not provide or guarantee development of or support for this project, including but not limited to, maintenance, bug fixes, new releases or updates. Patches to this project are no longer accepted by Intel. If you have an ongoing need to use this project, are interested in independently developing it, or would like to maintain patches for the community, please create your own fork of the project. These and other terminology are explained in the glossary. Plugin Architecture: Snap has a simple and smart modular design. The four types of plugins (collectors, processors, publishers and streaming collectors) allow Snap to mix and match functionality based on user need. All plugins are designed with versioning, signing and deployment at scale in mind. The open plugin model allows for loading built-in, community, or proprietary plugins into Snap. Collectors - Collectors gather telemetry data at determined interval. Collectors are plugins for leveraging existing telemetry solutions (Facter, CollectD, Ohai) as well as specific plugins for consuming Intel telemetry (Node, DCM, NIC, Disk) and can reach into new architectures through additional plugins (see Plugin Authoring below). Telemetry data is organized into a dynamically generated catalog of available data points. Processors - Extensible workflow injection. Convert telemetry into another data model for consumption by existing systems. Allows encryption of all or part of the telemetry payload before publishing. Inject remote queries into workflow for tokens, filtering, or other external calls. Implement filtering at an agent level reducing injection load on telemetry consumer. Publishers - Store telemetry into a wide array of systems. Snap decouples the collection of telemetry from the implementation of where to send it. Snap comes with a large library of publisher plugins that allow exposure to telemetry analytics systems both custom and common. This flexibility allows Snap to be valuable to open source and commercial ecosystems alike by writing a publisher for their architectures. Streaming Collectors - Streaming collectors act just like collectors, but there is no determined interval of gathering metrics. They send metrics immediately when they are available over a GRPC to Snap daemon. There is also available mechanism of buffering incoming metrics configurable by params MaxMetricsBuffer and MaxCollectDuration. Check out STREAMING.md for more details. Dynamic Updates: Snap is designed to evolve. Each scheduled workflow automatically uses the most mature plugin for that step, unless the collection is pinned to a specific version (e.g. get /intel/psutil/load/load1/v1). Loading a new plugin automatically upgrades running workflows in tasks. Load plugins dynamically, without a restart to the service or server. This dynamically extends the metric catalog when loaded, giving access to new measurements immediately. Swapping a newer version plugin for an old one in a safe transaction. All of these behaviors allow for simple and secure bug fixes, security patching, and improving accuracy in production. Snap tribe: Snap is designed for ease of administration. With Snap tribe, nodes work in groups (aka tribes). Requests are made through agreement- or task-based node groups, designed as a scalable gossip-based node-to-node communication process. Administrators can control all Snap nodes in a tribe agreement by messaging just one of them. There is auto-discovery of new nodes and import of tasks and plugins from nodes within a given tribe. It is cluster configuration management made simple. Snap needs Swagger for Go installed to update OpenAPI specification file after successful build. Swagger will be installed automatically during build process (make or make deps). Snap does not have external dependencies since it is compiled into a statically linked binary. At this time, we build Snap binaries for Linux and MacOS. We also provide Linux RPM/Deb packages and MacOS X .pkg installer. You can obtain Linux RPM/Deb packages from Snap's packagecloud.io repository. After installation, please check and ensure /usr/local/bin:/usr/local/sbin is in your path via echo $PATH before executing any Snap commands. Snap .tar.gz bundles and MacOS .pkg installer. By default, Snap daemon will be running in standalone mode and listening on port 8181. To enable gossip mode, checkout the tribe documentation. For additional configuration options such as plugin signing and port configuration see snapteld documentation. Snap gets its power from the use of plugins. The plugin catalog contains a collection of all known Snap plugins with links to their repo and release pages. To collect data, you need to create a task by loading a Task Manifest. 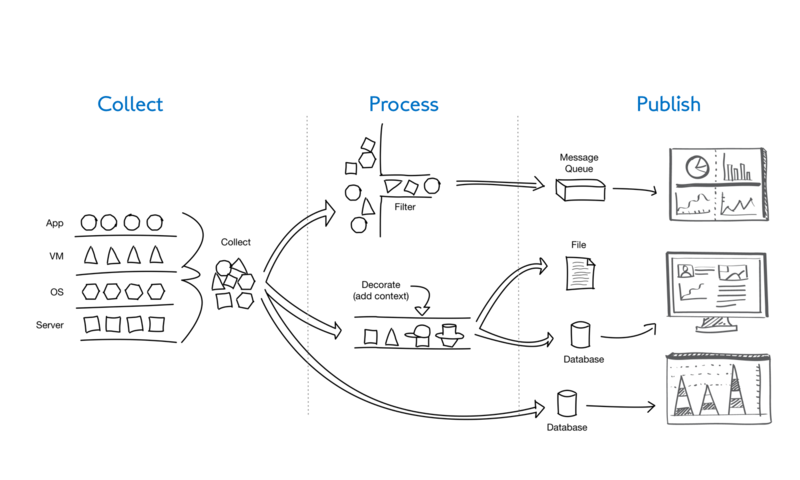 The Task Manifest contains a specification for what interval a set of metrics are gathered, how the data is transformed, and where the information is published. For more information see task documentation. NOTE: In subsequent commands use the task ID from your CLI output in place of the <task_id>. When you're ready to move on, walk through other uses of Snap available in the Examples folder. Documentation for building a task can be found here. All known plugins are tracked in the plugin catalog and are tagged as collectors, processors, publishers and streaming collectors. If you would like to write your own, read through Author a Plugin to get started. Let us know if you begin to write one by joining our Slack channel. When you finish, please open a Pull Request to add yours to the catalog! Documentation for Snap will be kept in this repository for now with an emphasis of filling out the docs/ directory. We would also like to link to external how-to blog posts as people write them. Read about contributing to the project for more details. To learn more about Snap and how others are using it, check out our blog. 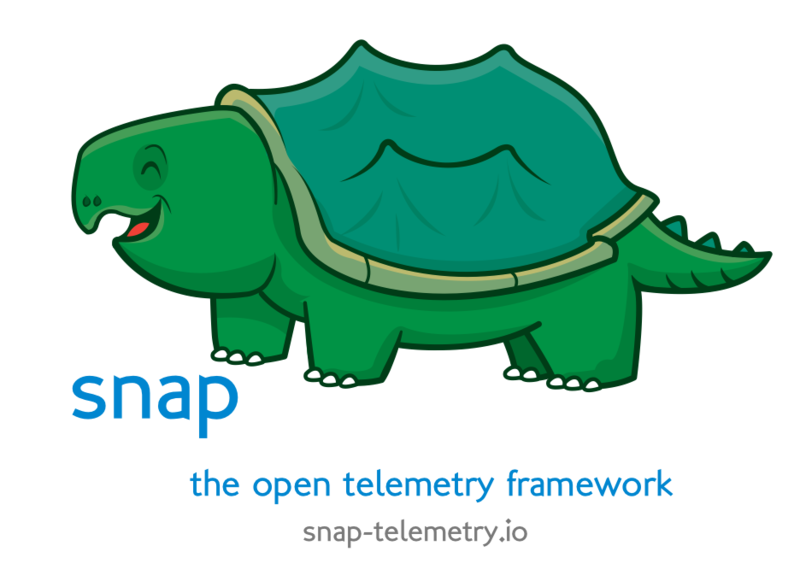 A good first post to read is My How-to for the Snap Telemetry Framework by @mjbrender. More complex examples of using Snap Framework configuration, Task Manifest files and use cases are available under the Examples folder. There are also interesting examples of using Snap in every plugin repository. For the full list of plugins, review the Plugin Catalog. This repository is one of many in the Snap framework and has maintainers supporting it. We love contributions from our community along the way. No improvement is too small. This note is especially important for plugins. While the Snap framework is hardened through tons of use, plugins mature at their own pace. If you have subject matter expertise related to a plugin, please share your feedback on that repository. To contribute to the Snap framework, see our CONTRIBUTING.md file. To give back to a specific plugin, open an issue on its repository. Snap maintainers aim to address comments and questions as quickly as possible. To get some attention on an issue, reach out to us on Slack, or open an issue to get a conversation started. Add to the ecosystem by building your own plugins to collect, process or publish telemetry. Snap maintainers are here to help guide Snap, the plugins, and the community forward in a positive direction. Maintainers of Snap and the Intel created plugins are selected based on contributions to the project and recommendations from other maintainers. The full list of active maintainers can be found here. Interested in becoming a maintainer? Check out Responsibilities of a Maintainer and open an issue here to discuss your interest. All contributors to Snap are expected to be helpful and encouraging to all members of the community, treating everyone with a high level of professionalism and respect. See our code of conduct for more details. The Snap team takes security very seriously. If you have any issue regarding security, please notify us by sending an email to sys_snaptel-security@intel.com and not by creating a GitHub issue. We will follow up with you promptly with more information and a plan for remediation. Snap is Open Source software released under the Apache 2.0 License. And thank you! Your contribution, through code and participation, is incredibly important to us.